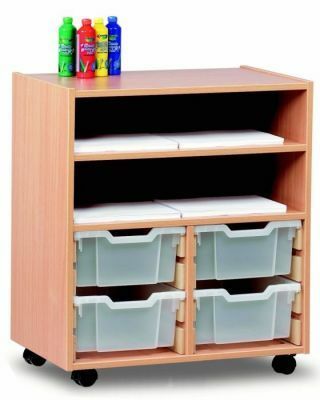 These combination units feature 8 shallow trays or 4 deep trays that are available in 32 different Gratnells tray colours and there are 3 different combinations of colours per unit. 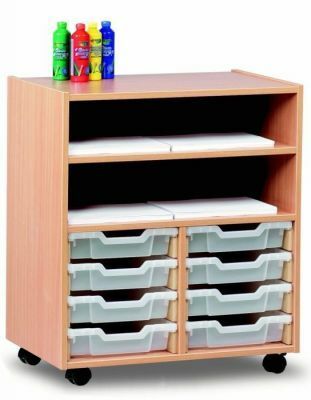 The unit also features two static shelves for art supply storage. 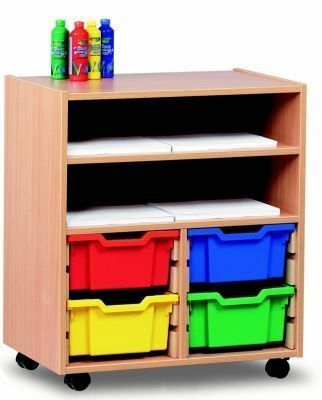 Storage units that have been designed for schools to store art equipment and are sold with a choice of 8 shallow trays or 4 deep trays depending on preference. Available with Gratnells trays that have a choice of 32 different colour and you can have three different coloured trays per unit. Free delivery to any UK mainland location.